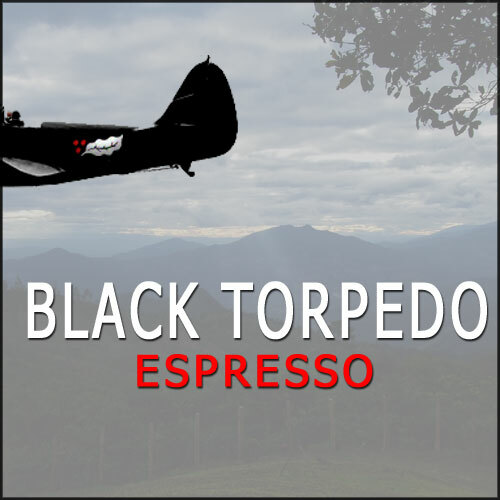 A shot of Black Torpedo is elegant and refined, with notes of dark chocolate, stone fruits, spice, light tannins, a round body and a lingering finish. It works equally well on its own or in milk. The flavor complexity is balanced by the experiential tactile complexity as the flavors progress over the palate. Complex enough for the aficionado, yet approachable enough for the novice. A truly excellent espresso. Normale: * 16-18g * 200F * 1.5 - 2.0 oz. * 24-29 sec. Ristrestto: * 18-20g * 198F * 1.5-1.75 oz. * 28-35 Sec.